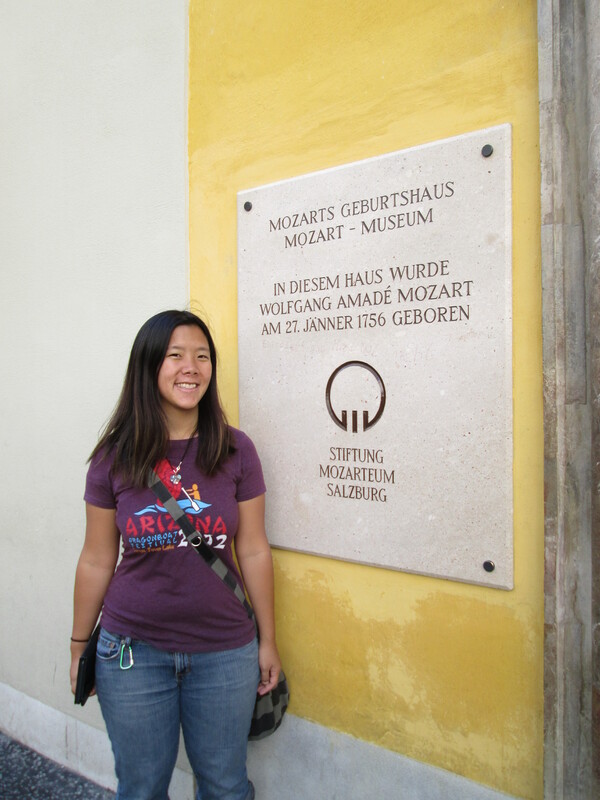 My primary motivation for visiting Salzburg was to walk in the steps of Mozart. 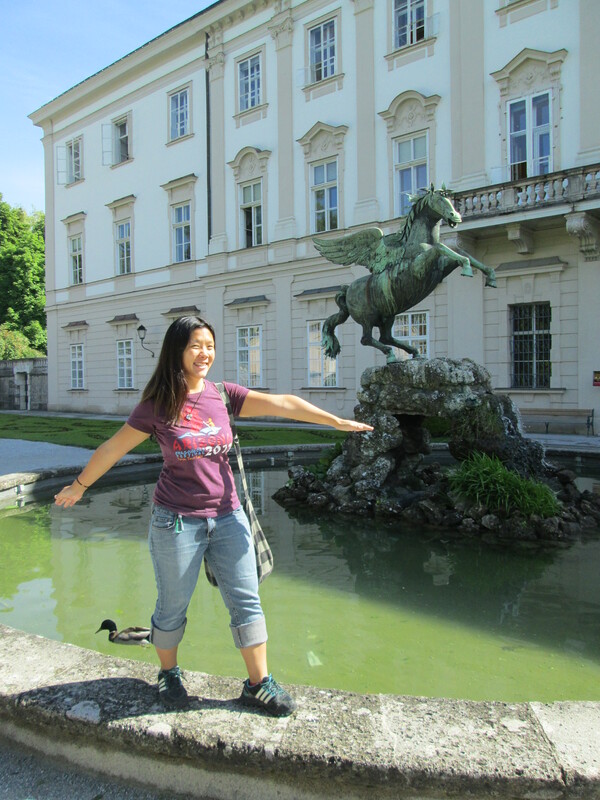 It was only after arriving that I realized that the city had also gained fame as the home of Maria Von Trapp and the location for the movie ‘The Sound of Music.’ As such, my day was filled with musical melodies and dancing magic. First stop was at the Mirabell Palace. Although I couldn’t go in, I enjoyed walking amongst its meticulously landscaped garden, and dancing around the Horse Fountain (Do-Re-Mi Scene). The building was constructed in 1606 at the behest of Prince-Archbishop Wolf Dietrich Raitenau according to Italian and French models for his mistress. He was deposed in 1612, and during this era, the palace received its current italian name, bella meaning ‘Amazing’ or ‘Wonderful’. Subject to much remodeling through the years, its current neoclassical appearance dates from about 1818. Next, I visited the birthplace of the only Wolfgang Amadeus Mozart. If you don’t recognize the name, then I am no longer your friend. 😛 He is recognized as one of the most prolific and influential composer’s of the Classical Era. As a child, Mozart showed prodigious ability; He was competent on Keyboard and Violin, and regularly composing pieces and performing for European Royalty from the age of five. Eventually, he grew restless, and was dismissed from his Salzburg position while visiting Vienna in 1781. It is in Vienna where he spent his final years composing some of his best-known symphonies, concertos, and operas. 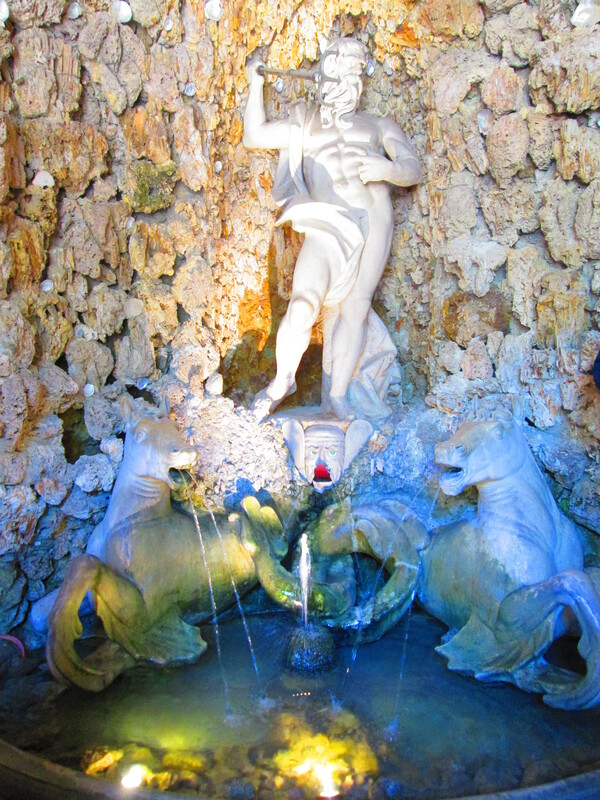 Last on the list for my meandering day was a stroll through the Hellbrunn Palace. 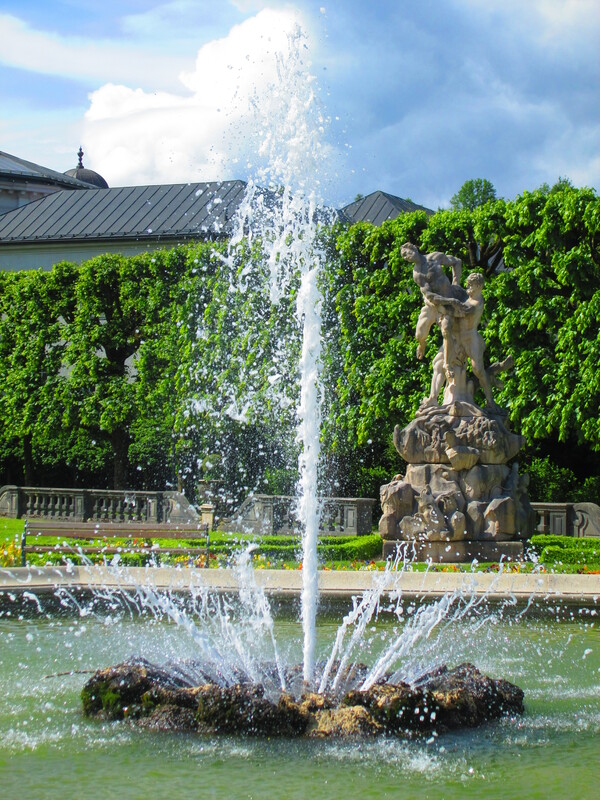 The Schloss is best known for its jeux d’eau, the magical fountain filled with unexpected water delights. 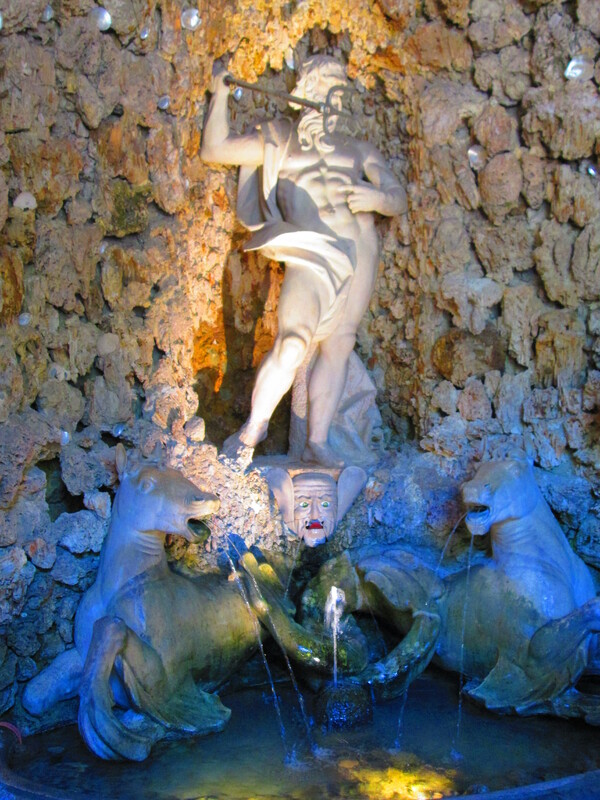 The water-park was conceived by Markus Sittikus von Hohenems, an individual with a keen sense of humour who employed practical jokes, which were performed on guests. I personally was incapable of avoiding these deviously hidden mechanisms that would sprout water up through seats and overhead when least expected. Water-pressure also allowed for ingeniously designed mobile figurines, best illustrated in a musical-playing theatre that was built-in 1750. There was always one location where the Archbishop would stand or sit, that was protected from water. So, I know the pictures here look the same. but if you look closely between the two, you will notice an extension and retraction of the face’s tongue. This is achieved by a small pail mechanism, that when filled, lowers the jaw, automatically extending the tongue. Once emptied, it retracts, and the process repeats. 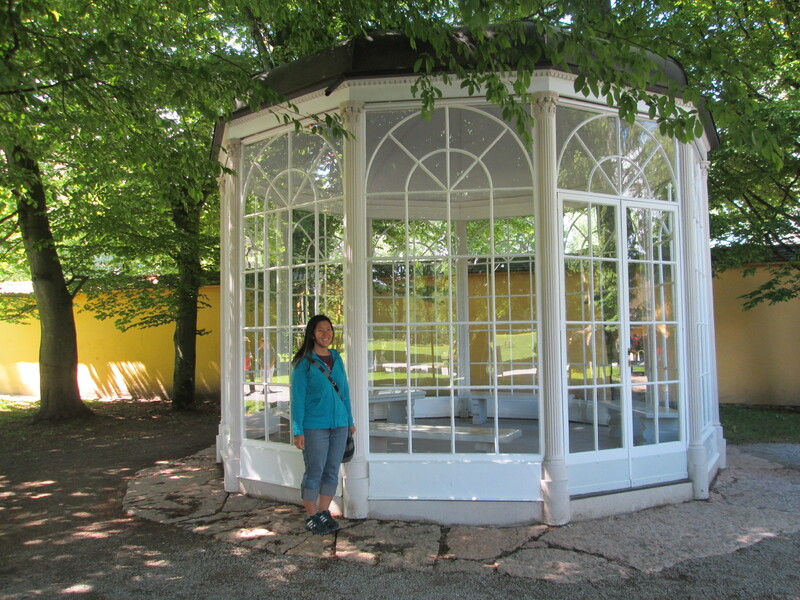 I stopped by the Glass Gazebo on my way out to relive the ‘Sixteen going on Seventeen’ moment from the movie.